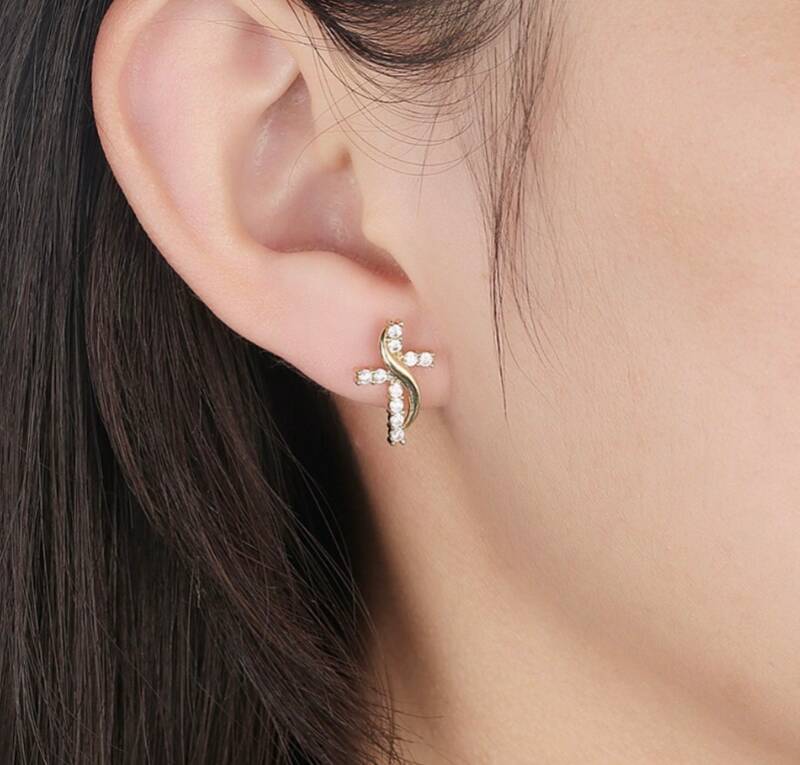 Small Gold Swirl and Inset Zircons form a fabulous Cross Stud Earring. Very bright and sparkly! The Petite Cross Design has a very modern look. You will wear them every day! 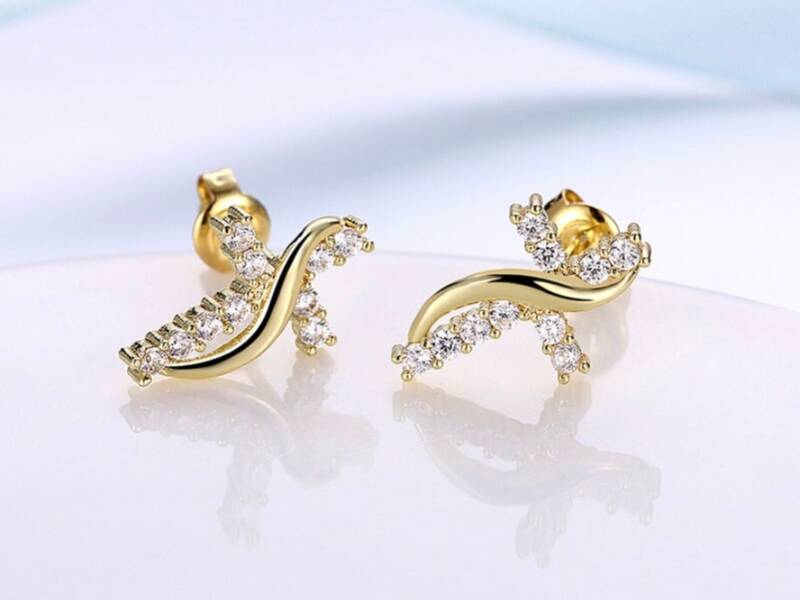 Over the top elegant Dainty Gold Plated Hollow Cross Earrings come with Zircons to catch the light. These dainty crosses of each earring measures 5/8 long x 3/8” wide. 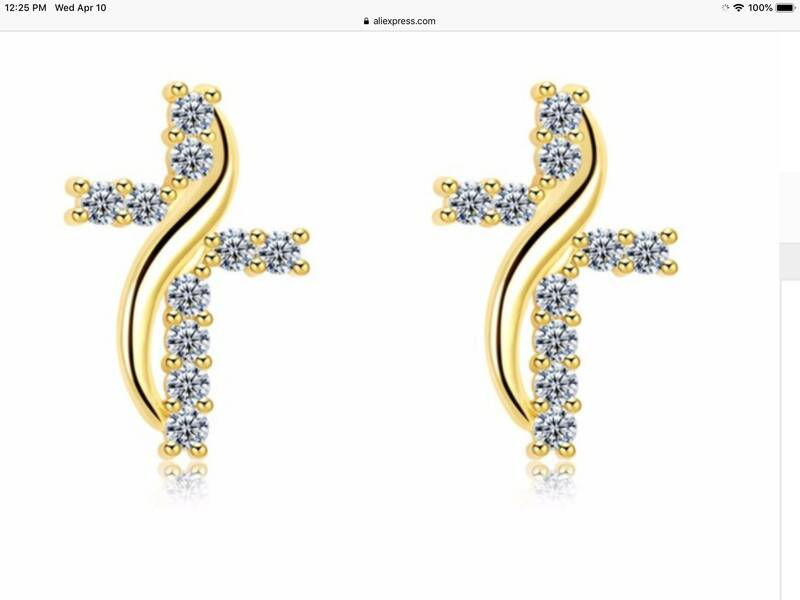 Each of these Cross earrings is Gold in Color and comes with complementary post backs.